This is an excerpt from my long poem, “The Death of the Bird King.” The book is available here. You should see the Bird King feeding his young: a touching sight! of dogs’ heads and human limbs. His useless wings twitch when he’s angry. Adam has red eyes and burbles disconsolately. Eve howls, cavorts and farts. a miniature parody of its maker. The Bird King pets it and kisses it, hisses it to playful madness. I’m on holiday with my family in Seaton, Devon. Today we sat on the beach and looked at the sea. I threw some pebbles. This evening, I wrote the poem that follows. Taken from The Death of the Bird King, available here. 20% off price for a limited time. Copyright James Knight. All rights reserved. From a work in progress. Copyright James Knight. All rights reserved. The Death of the Bird King goes on sale on Sunday 22nd July. Its normal price will be £5.49, but for a short time I’m knocking off 20%, so it will be only £4.39. You can buy it here. Here is an excerpt from the preface to my new collection, The Death of the Bird King. It tells of how the Bird King came into the world. Once upon a time there was a bad, bad poet called James, whose head was nothing more than a huge egg with facial features crudely appended. And one day, while James was on the toilet thinking about a line from The Waste Land (“Hieronymo’s mad againe”), the egg cracked open and out lurched an ambiguous creature called the Bird King. From the moment he stepped into our world, the Bird King was very busy. He flapped his patchy wings, made absurd laws, fell in love with inanimate objects. Following him around with his head still gaping and his mulchy brain exposed, James recorded the Bird King’s episodic adventures, transmitting them to the world through Twitter. How did the Bird King come to be in James’s head in the first place? Maybe Loplop planted him there: a bad seed sown in the soil of dreams. Maybe a mythical being called Crow was responsible. To this day, James is unsure. We will probably never know. James realised he couldn’t express the Bird King in his contradictory entirety with words alone. So he tweeted to an artist named Diana, inviting her to make illustrations. The result of their collaboration was a slim book called The Madness of the Bird King. The soul of the Bird King is an enigmatic thing; it is to be found in the gap between James’s words and Diana’s watercolour pictures. If you look closely at the white spaces on the page you might catch a glimpse of his envious eye, his leaden shadow. 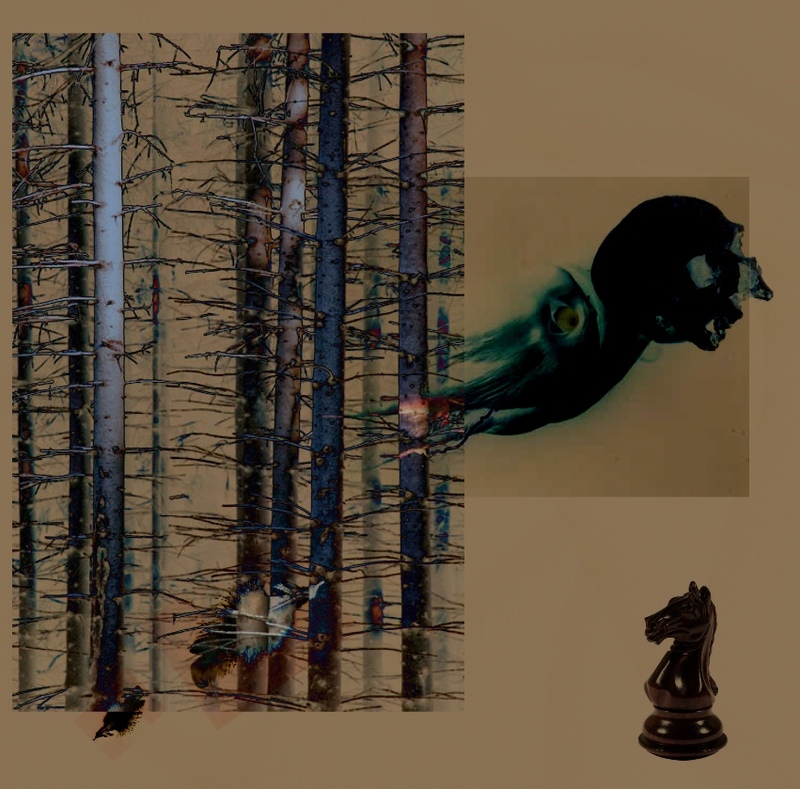 Soon after the book appeared, the Bird King died. Thousands flocked to his funeral, ostensibly to mourn, but in reality to make sure he really was dead. 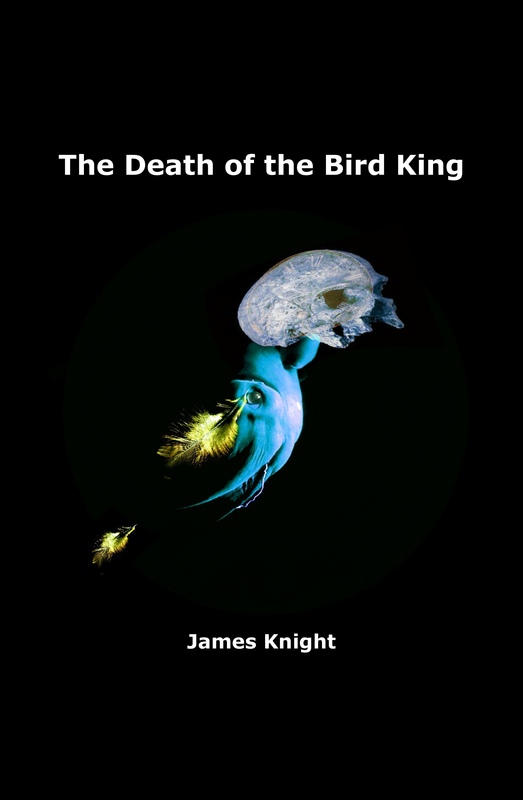 James still had many more tales to tell about the being that had hatched from his skull (some true, some shameless lies), so he collected them into a poem called The Death of the Bird King. Then he had his head sewn up once and for all. He has remained silent and reclusive ever since, though sometimes he writes fragments of stories and broken poems, or he assembles impossible pictures, which he tweets to his modest following. There is still a danger that some fresh monster may kick its way out of James’s egg head. But that’s just life – who knows what’s around the corner? The Bird King is dead. Long live The Death of the Bird King! Text and image are the copyright of James Knight. All rights reserved. Here are the first three sections of my poem, The Madness of the Bird King, originally published with beautiful watercolour illustrations by Diana Probst. The full version of the poem will appear in my forthcoming collection, The Death of the Bird King. Even better, get it with Diana’s colour illustrations here. You can find out more about Diana’s work here.